Big Words were the first act of the day, and while relatively unknown to the crowd they band were able to light the flame under the festival crowd, bringing a large crowd to the front of stage to have a dance alongside the band’s music. Using a mixture of RnB vocals, indie tones and some enterprising sounds, the band moved through a set list comprised of fun tracks that energised the crowd. 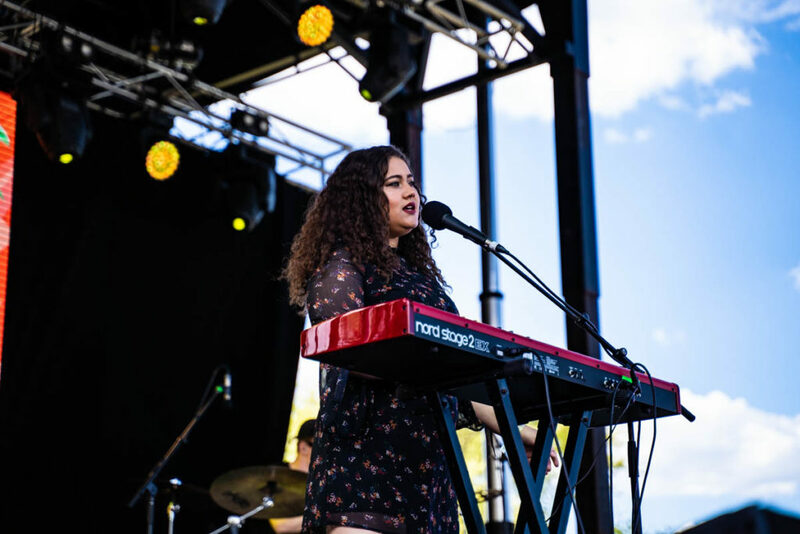 Up next was Odette, the Sydney singer-songwriter who basked in the sun with her emotive tracks. She brought a mellow, but welcoming atmosphere, as masses of people still poured through the gates. Her now popular tracks, “Take It To The Heart” and “Watch Me Read You”, sent the crowd into a spin as many of her young fans recited the words back to her as she moved through the tracks. Seeming to be having fun up on the stage, Odette’s set unfortunately had to come to an end. Choosing to close on “Fractured Glass”, Odette finished her pleasingly emotive set on a high, with her fans being drawn in by her raw songwriting. The Hot Potato Band also brought the fun with the sun, delivering a mix of big band instruments such as trumpets, trombones, a percussion section and even a sousaphone, mixed with the energetic vocals of their lead singer Dylan Wright. 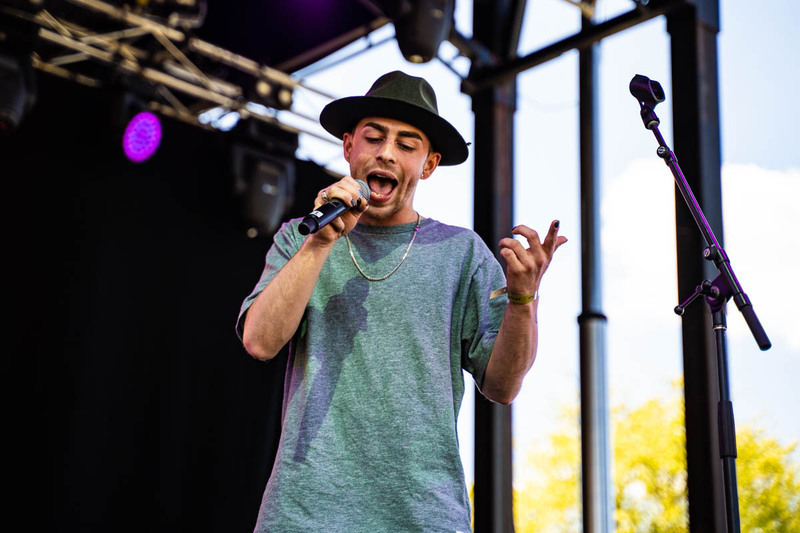 As they started their grooving and jiving up on the stage, the crowded swelled, getting behind the upbeat and punchy brand of music they brought to the day. Hot Potato Band’s set was not just full of the band’s original tracks, with “Step Into My Dreamland” and “This Is How It Should Be” featuring, but an early rendition of Mac Miller’s “Dang”, dedicated to the artist. It was a particularly poignant tribute and something that is sure to stick with much of the crowd. After the hot fired pace of Hot Potato Band’s dancey high energy tracks, it was time again to have a little relax. Marlon Williams was the artist to provide that, as he and his band brought his subtle folk rock and indie combination to the stage. The New Zealand born songwriter, used his smooth vocals to cast a spell over the crowd his band helping to cast the final notes. “Vampire Again”, “Party Boy” and a couple of new numbers helped Marlon flow through his set. His skillful use of sensuous vocals and his backing band The Yarra Benders’s alt-folk blend, helped to create a brilliant foundation for the rest of the afternoon to grow on. 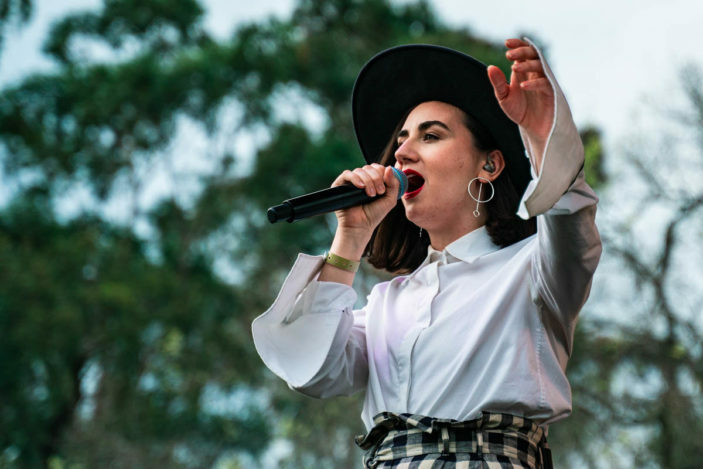 Meg Mac hit a perfect mix between both the two surrounding acts, Marlon Williams and Tash Sultana. Her incredible vocal ability and her band have learned to work so well together over their time touring over the last couple of hears. Bringing her sister Hannah along for backing vocals, their harmonies build in another dimension to Meg Mac’s already graceful brand of music. Meg Mac’s set list contained Tame Impala cover, “Let It Happen”, along with many of her own popular tracks off of her 2017 album release Low Blows, including “Grace Gold”, “Grandma’s Hands” off of her EP, “Ride It” and “Never Be”. Meg Mac finished her set out on “Roll Up Your Sleeves”, the 2014 release and fan favourite which finished her set off with a real punch; Meg Mac ending on an uplifting note. Returning to Melbourne for a rare home show, Tash Sultana closed the day, with her flavoursome mix of instrumental looping and laid back vocals. 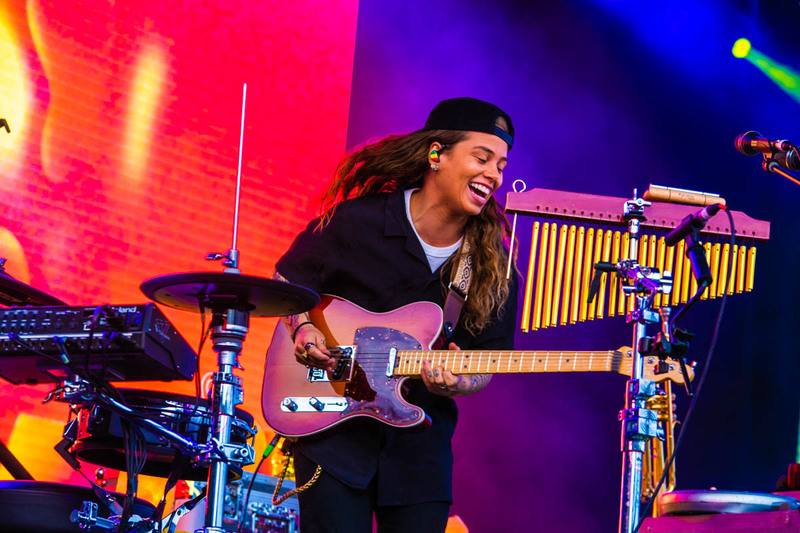 While the live Tash Sultana set makes it a touch harder for fans to pinpoint the tracks she was playing as she rapidly flowed between sounds, common themes in her music and the instrumental tangents they spawned made each track the crowd knew as a recorded number something entirely new and different. Yet there were links to the usual suspects, “Blackbird”, “Mystic” and “Notion” off of her recently released album, Flow State. Her talents as a musician were on complete display on the Lost Picnic stage, and were shown through her multi-instrumental layering of tracks, as well as mandolin shredding through “Blackbird” and the ability to beat box while also playing the pan pipes. All of this magic coupled together to create a larger image of Tash’s music; delivering a welcoming and encompassing sphere reflecting the whole world of sound. With spectacular music, great weather and a fun family atmosphere, Lost Picnic delivered a remarkable day in its Melbourne debut. Sydney is next, and here’s hoping we see it again in Melbourne next year! Lost Picnic took place in Melbourne on 7th October 2018. The returing Sydney event will take place in The Domain on Saturday, 13th October. For tickets and more details head to their official website.